At the end of 2018, a significant event took place at Luhansk Taras Shevchenko National University. 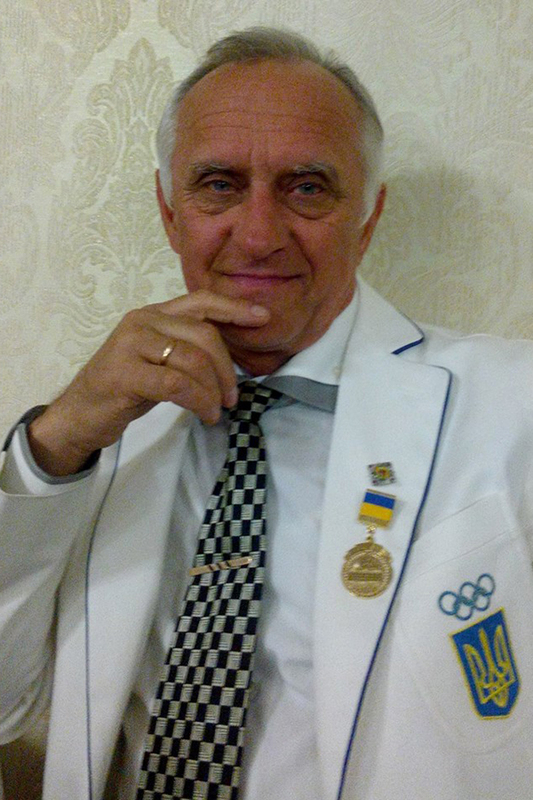 The Director of the Educational and Research Institute of Physical Education and Sports, Merited Worker of Physical Culture and Sports of Ukraine, Merited Coach of Ukraine, Ph.D., Professor of the Olympic Department and Professional Sports Yurii Mykhailovych Poluliushchenko was awarded with the Honorary Diploma and the Sign of the Verkhovna Rada of Ukraine for high achievements in professional activities and for special services to the Ukrainian people. 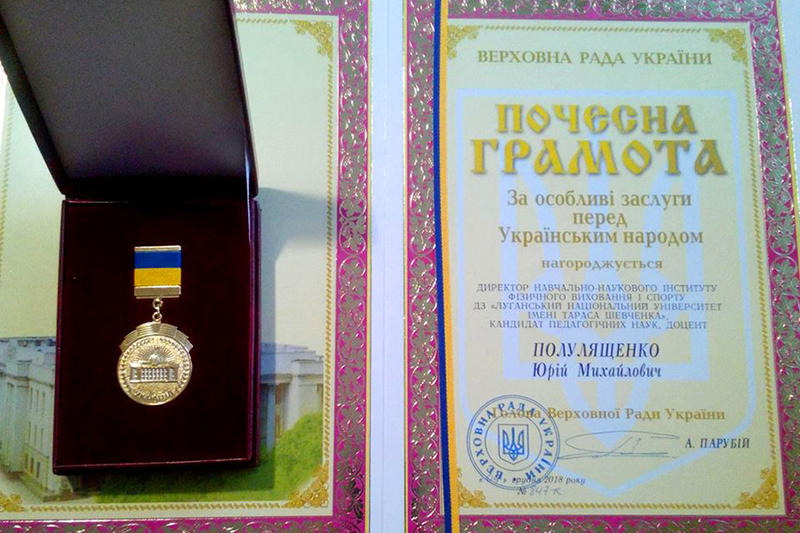 The award was presented by the People’s Deputy of Ukraine, the chairman of the Supervisory Council of Luhansk Taras Shevchenko National University Vitalii Kurylo. 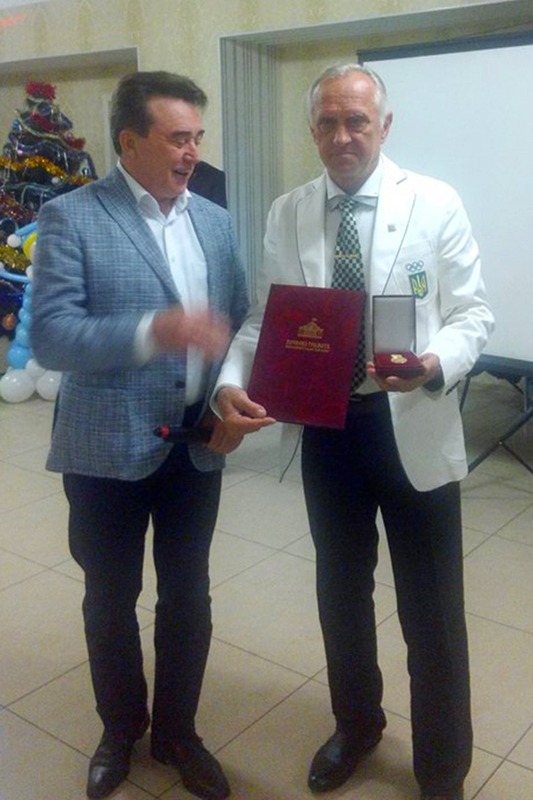 The team of the Educational and Research Institute of Physical Education and Sports congratulates Yurii Mykhailovych on his high award and wishes him further creative success!